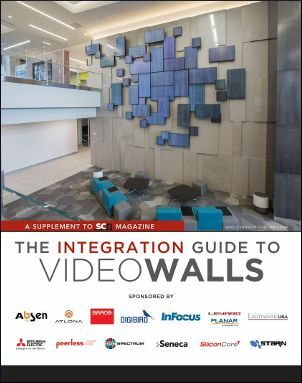 Get your free copy of The Integration Guide to Video Walls! What's New with Video Walls? When we properly design and deploy a video wall, it enhances the environment, and immerses the viewer in the messages. As the end user experience becomes a part of the everyday AV conversation, what are manufacturers and integrators doing to celebrate the UX? We explore game-changing digital signage innovations from companies like Leyard & Planar, Peerless-AV, Absen, and more. SCN asks industry thought leaders their opinions on how and why video walls are changing the user experience.